Warwickshire boasts ancient castles, beautiful ancestral homes and of course, the origins of the world’s greatest playwright but there’s also amazing collections of vintage cars, vibrant gardens, museums full of madcap machinery, world-renowned beer breweries – all just waiting to be uncovered. Glide Media works hand in hand with many of the leading attractions in the area to ensure that local residents, tourists and day trippers alike, are all fully informed of what the areas leisure activities and attractions have to offer. The Explorer Pass is an added value members scheme, giving you the flexibility to visit top attractions in Warwickshire and beyond! Pick a pass duration that matches your visit (1, 2 or 3 days) and simply show your Explorer Pass at any attraction included in the guidebook to enter for free. It’s sightseeing made easy! It also gives you exclusive special discount offers including shops, hotels, cafes & restaurants. So a complete visit in one card! Glide Media offers excellent coverage of the central region and in the last two years has grown its footprint to expand further into Bristol, Bath and Somerset. Glide now covers the South Midlands over to Oxford, down to North Devon and across to Wales, with an enviable network of key sites, high quality leaflet distribution stands and a reputation for fantastic service. 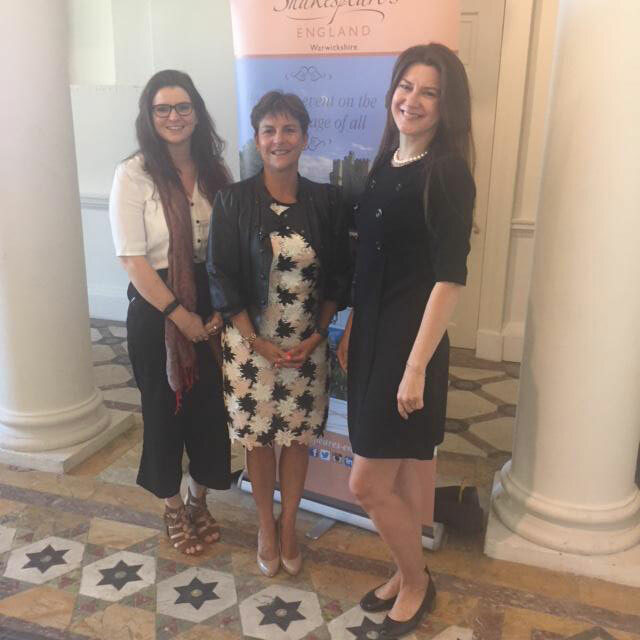 Pictured here, the team behind this great new discounted visitor offer, Anneka Nicholls, Helen Peters and Ekaterina Leret Jameson. And if you’d like Glide Media to help get your new and innovative products or services to your target audience, please call us direct on (01242) 576010.